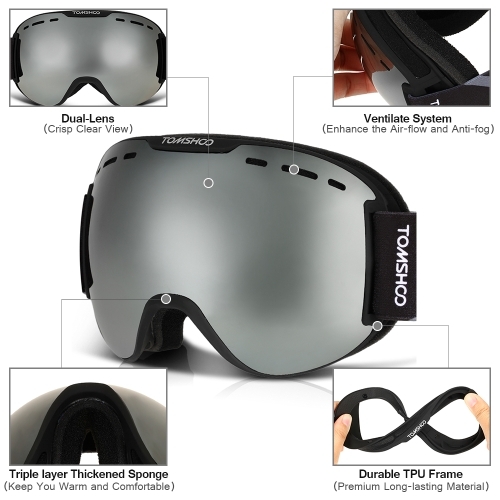 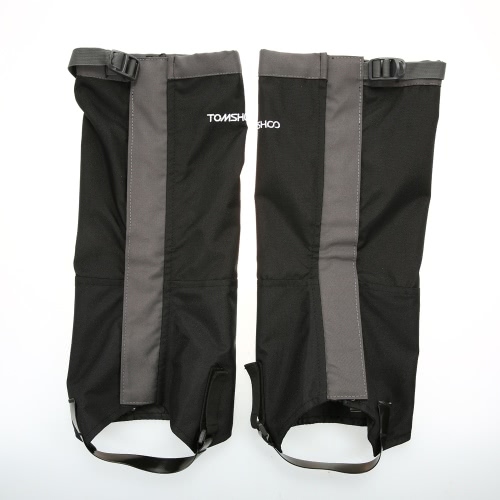 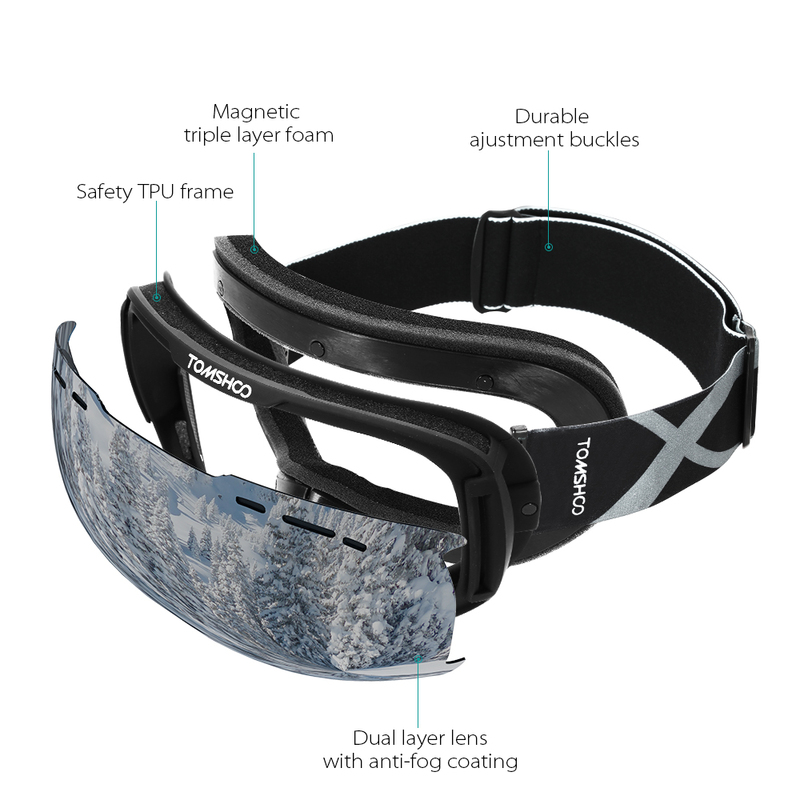 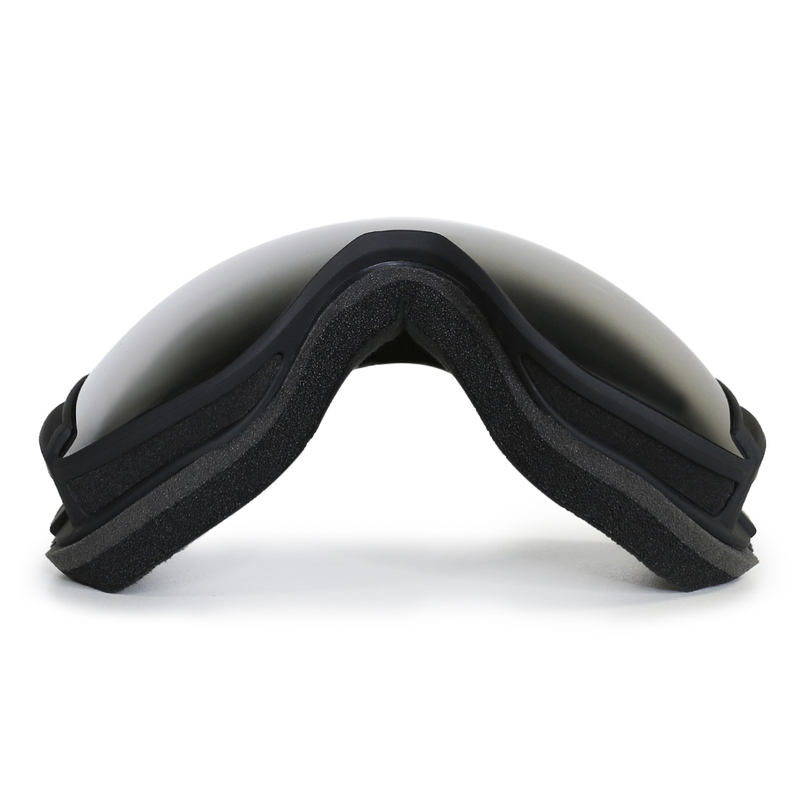 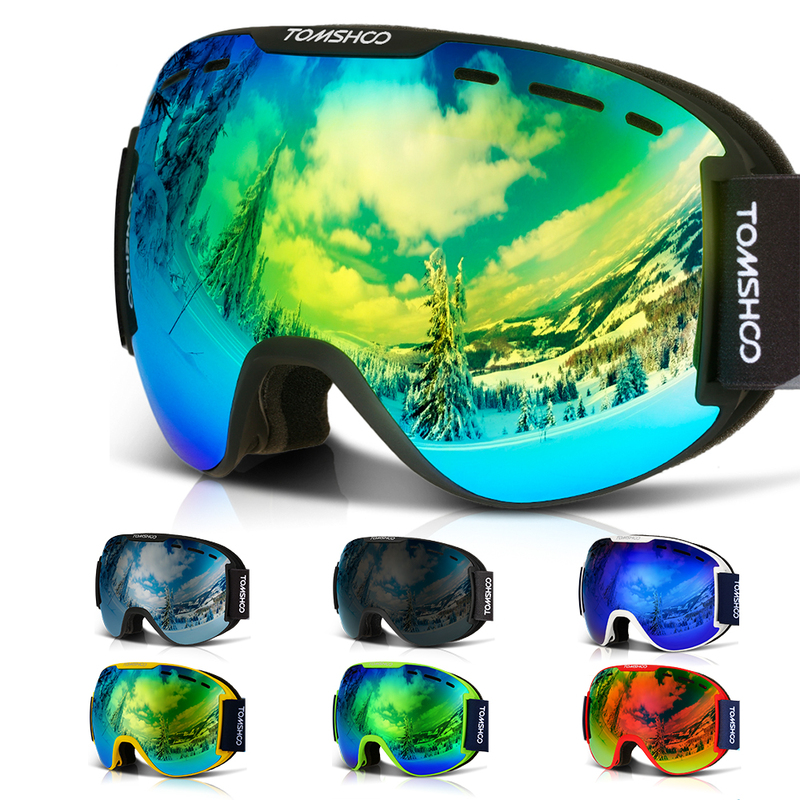 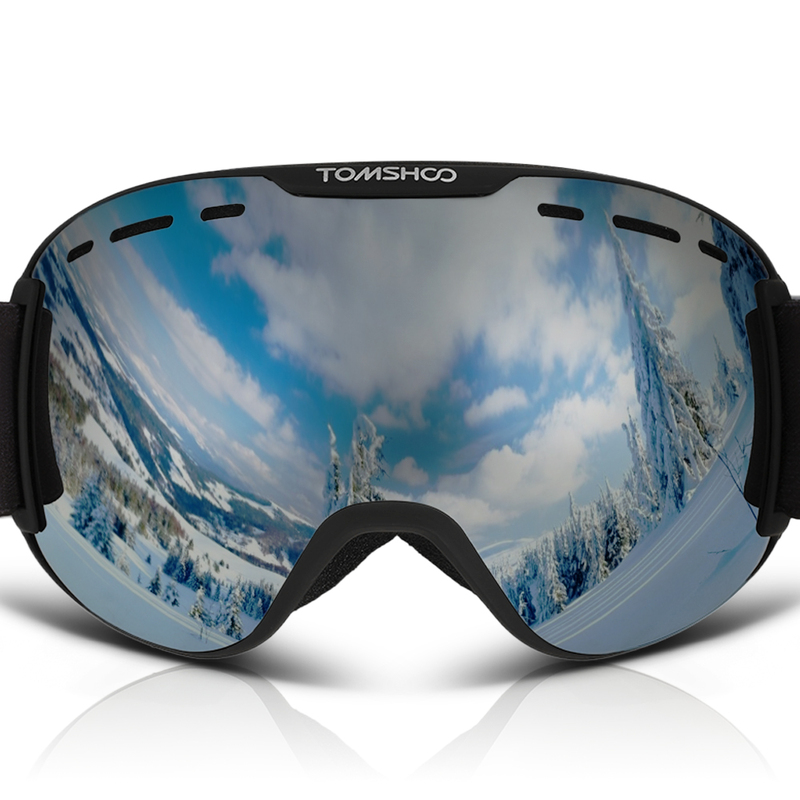 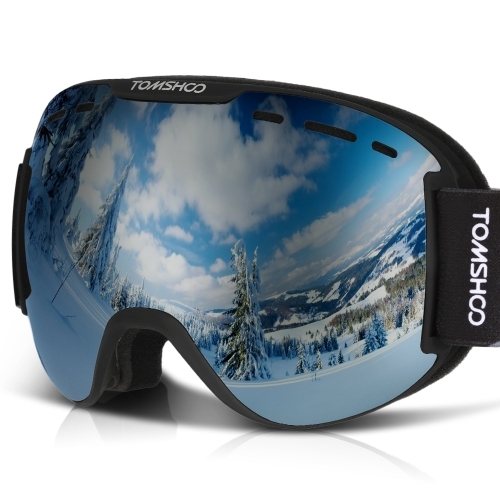 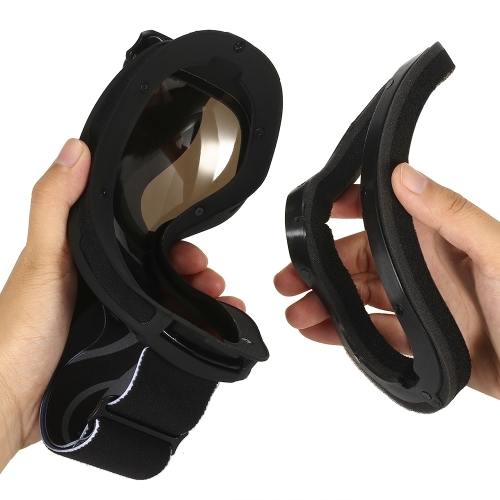 TOMSHOO Ski Goggles are specially designed for those who love outdoor winter sports like skiing and snowboarding. 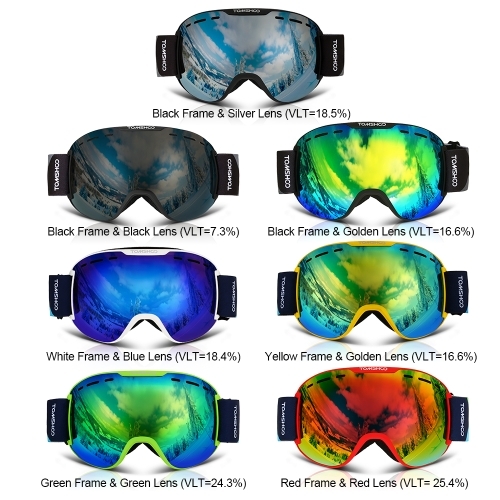 It boosts many features that surely make the goggles a must-have choice for you: Bendable TPU Frame with Anti-UV Coated Lens for eye protection; Spherical Double Lens for crisp clear views of the snowy slopes without any obstruction; Three Layer Soft Foam Padding for warmth and comfort; Adjustable Elastic Strap for helmet compatibility and custom fit; 6 Ventilated Holes for smooth air flow; Apart from the highlights above, the goggles are OTG (Over The Glasses) compatible, so you can wear your glasses freely under the goggles. After finishing your exciting outdoor sport, just stuff the goggles in the included storage sack and box. 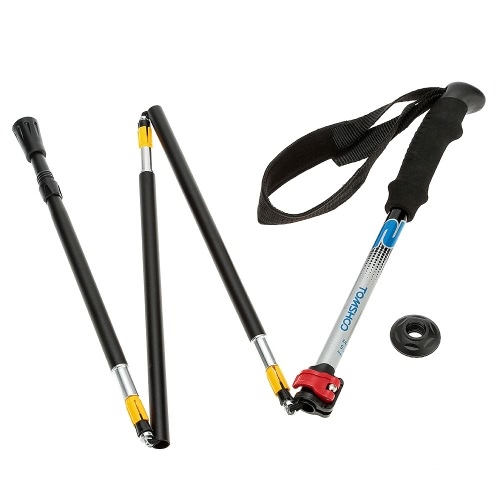 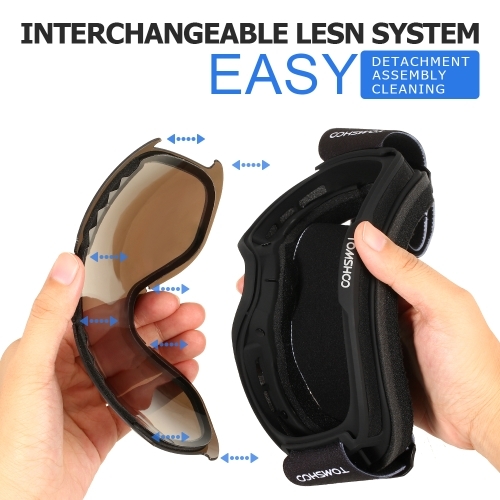 For easy maintenance, the lens and straps are detachable, easy to replace or clean. 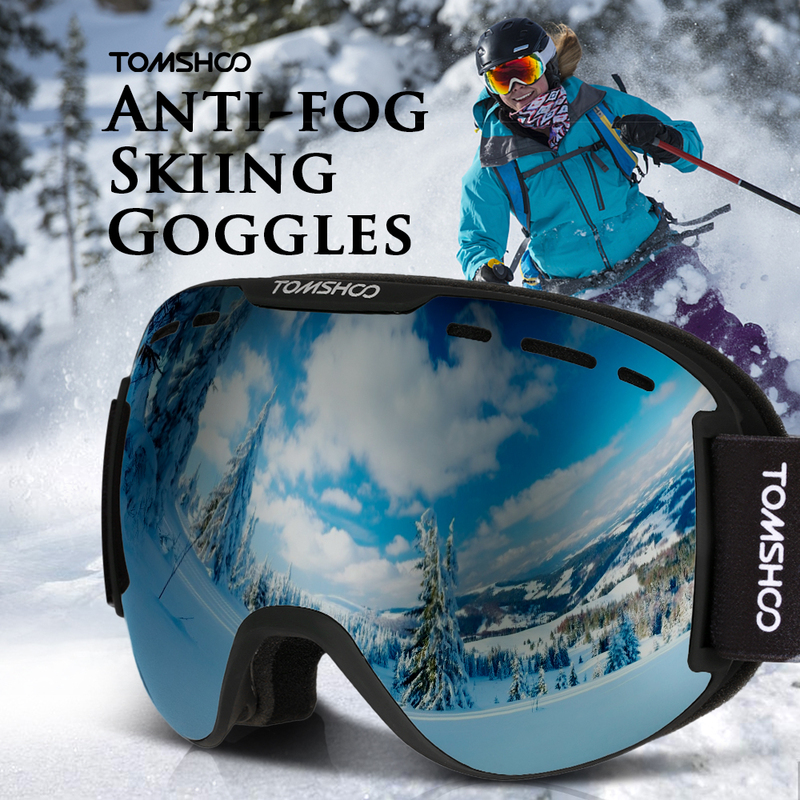 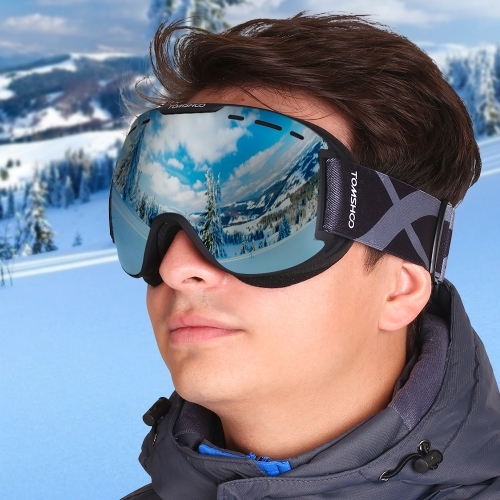 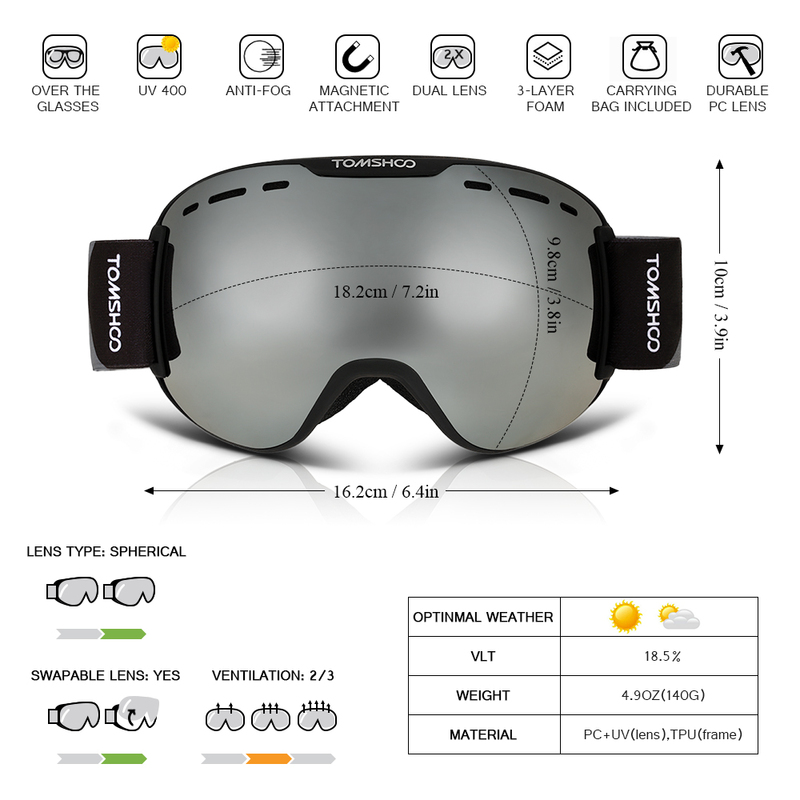 TOMSHOO Ski Goggles, the one you should never miss in this winter! OPTIMAL PROTECTION FOR EYES: The ski goggles feature a super flexible TPU frame that is bendable and unbreakable, while the anti-UV coating on the lens provides your eyes with maximum protection from the glaring sunlight. SPHERICAL DOUBLE LENS: Large, anti-fog spherical dual lens provides a truly unobstructed clear view of different snow terrains. 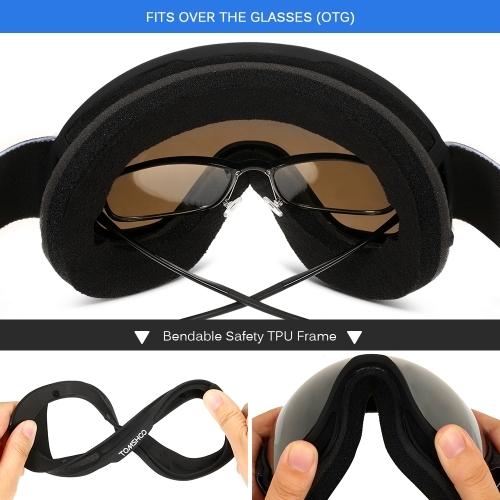 The OTG (Over The Glasses) design allows you to wear your glasses. ANTI-WINDS AND WARM: Three-layer soft foam padding attached on the frame to cut winds out. 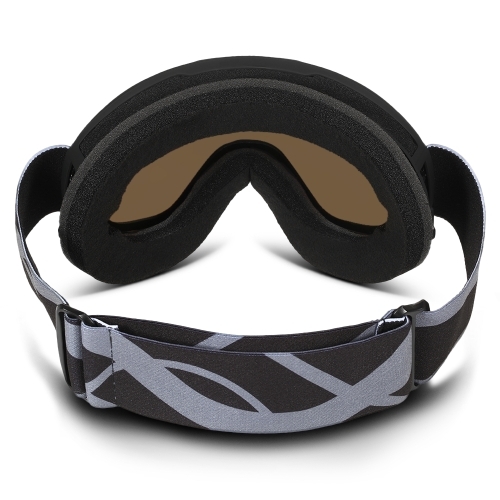 It makes you feel comfortable and warm even after skiing or snowboarding in the cold mountains for a long time. 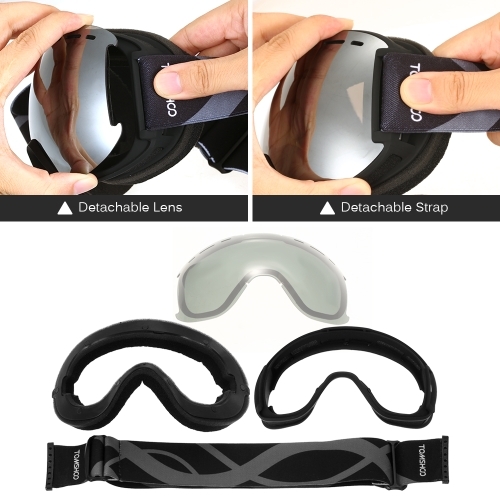 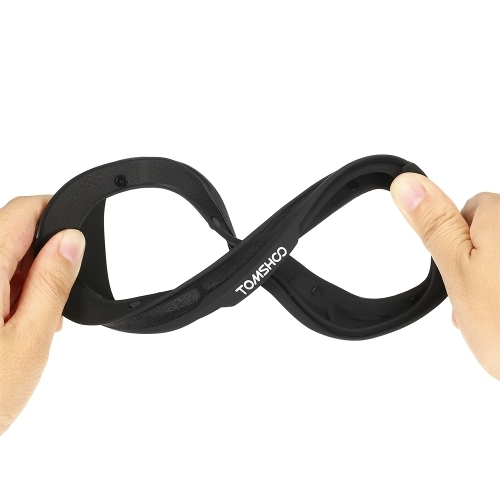 HELMET COMPATIBLE: Extra long elastic strap is designed for great helmet compatibility with all helmets. 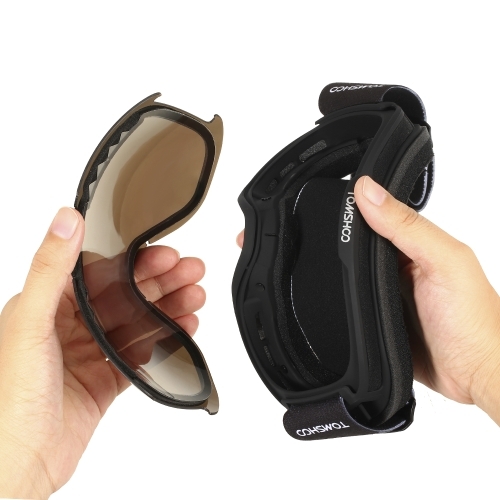 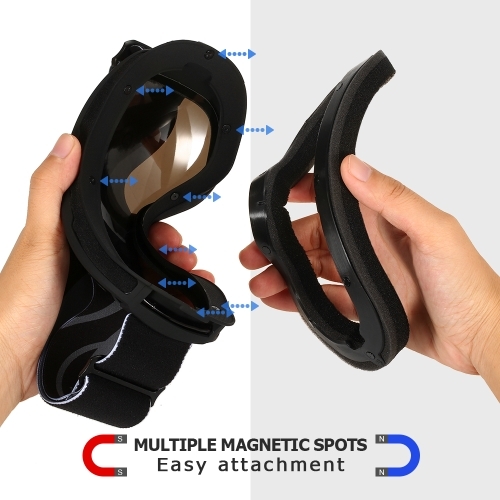 It easily adjusts to fit different head sizes, suitable for men, women and teenagers. 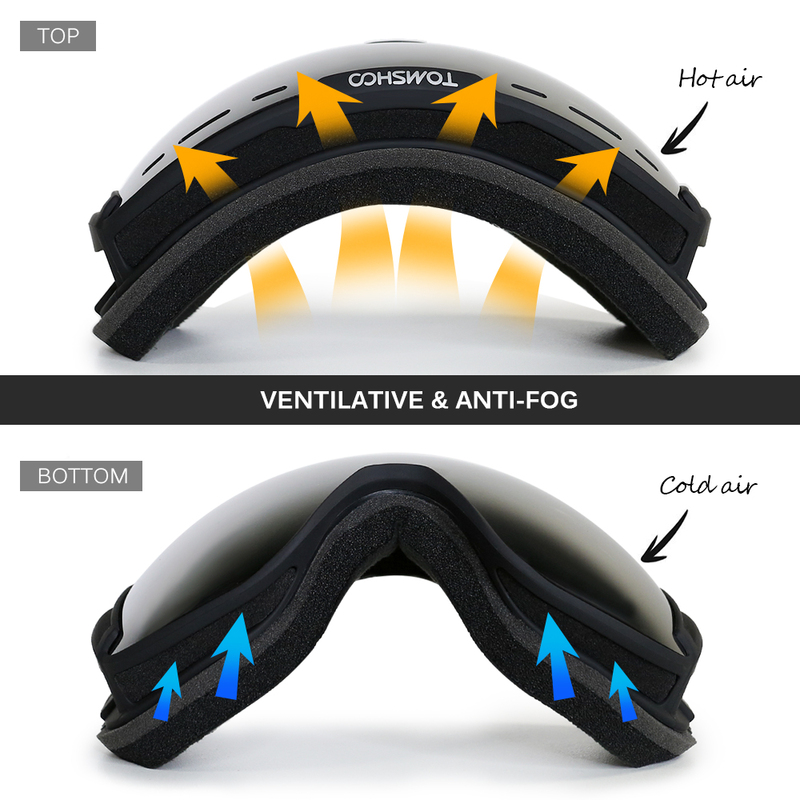 SMOOTH AIR FLOW: 6 ventilated holes ensure an excellent ventilation system that enhances air flow across the lens, reducing the potential of moisture buildup and maintaining your crisp clear vision in moist conditions.